SMOK TFV8 vs SMOK TFV8 Baby – which is the best vape tank? 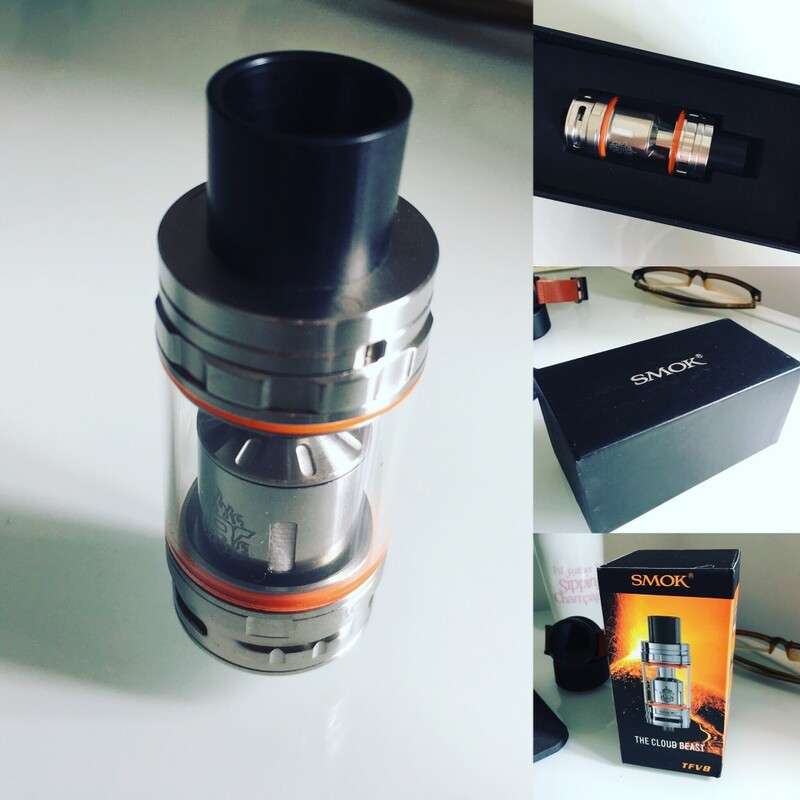 The SMOK TFV8 was easily one of the biggest and most-used sub-ohm tanks of 2016. Tons of people bought it, tons of people loved, and millions of gallon’s of E Juice were vaped in the process. 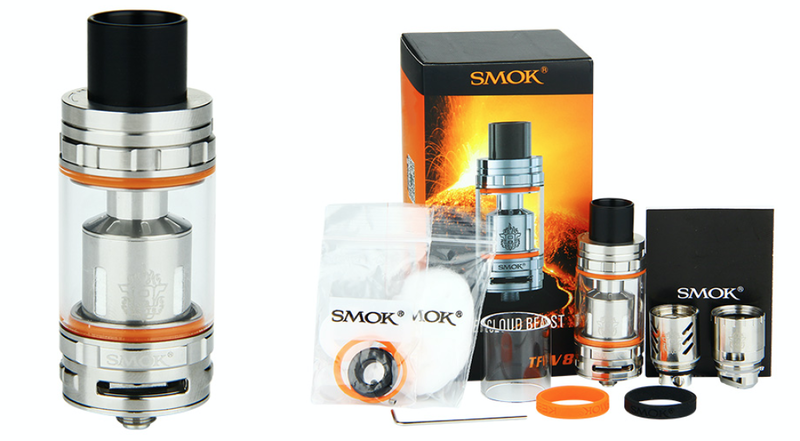 Then SMOK released a follow-up: The SMOK TFV8 Baby – a smaller, more practical version of its monstrous TFV8 setup. But which is best? Good question. But first, some history. 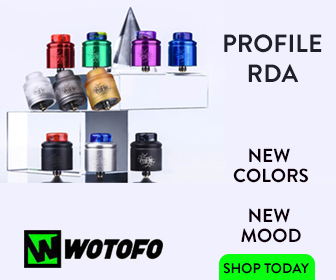 Prior to the TFV8 series, Smok released the sub-ohm tank to end all sub-ohm tanks, the TFV4. 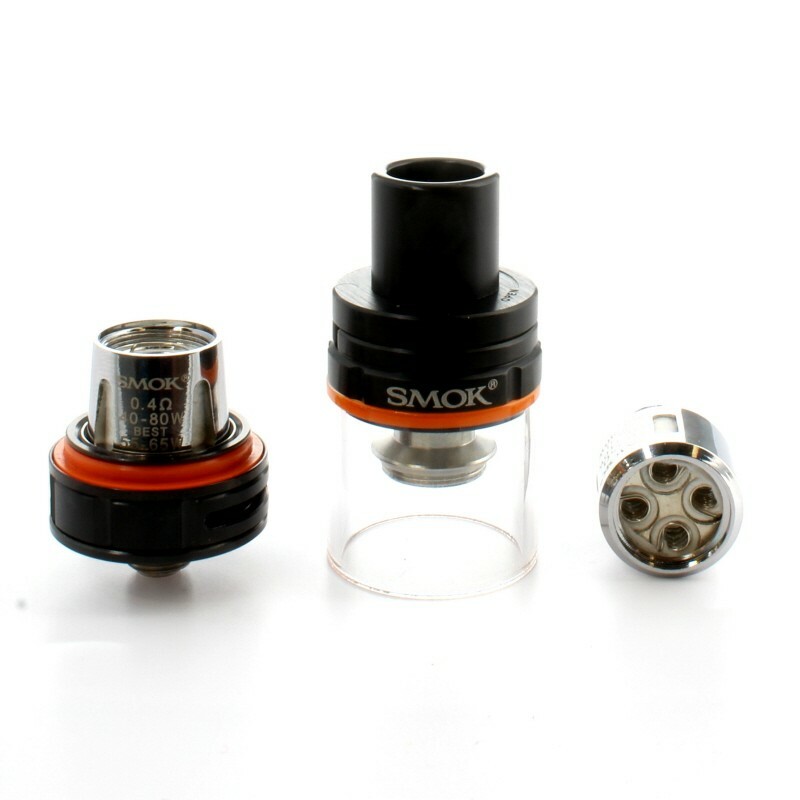 Even after the TFV4 was out and showed the vaping world who was king, Smok decided to release a smaller version, the TFV4 mini. These two tanks ran the scene for awhile. Giving vapers what they were craving, an RDA in a sub-ohm tank. The SMOK TFV8 was designed to build on this tank and make it even better. It wanted to create the sub-ohm tank to end all sub-ohm tanks. But this once again was not enough, Smok was not quite ready to let the TFV8 Cloud Beast be alone. 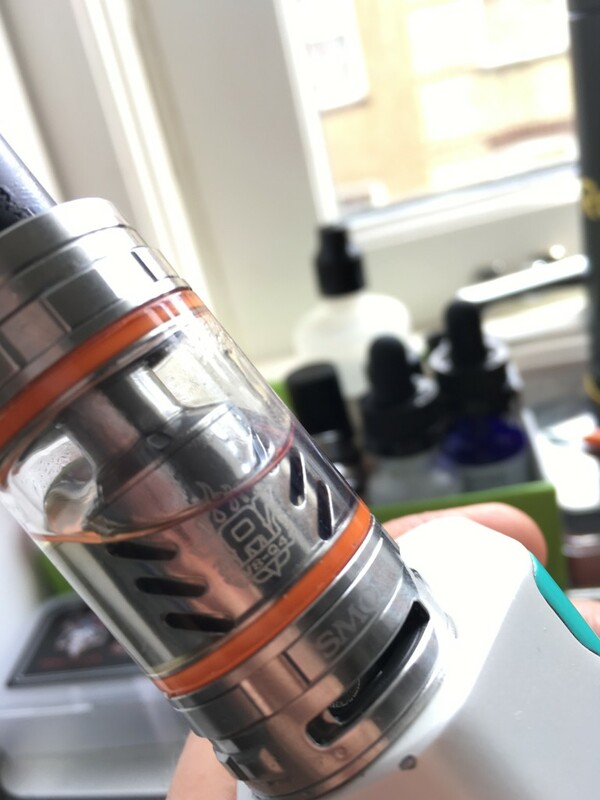 The TFV8 Baby Tank was born. But which is best? The SMOK TFV8 or the SMOK TFV8 Baby? 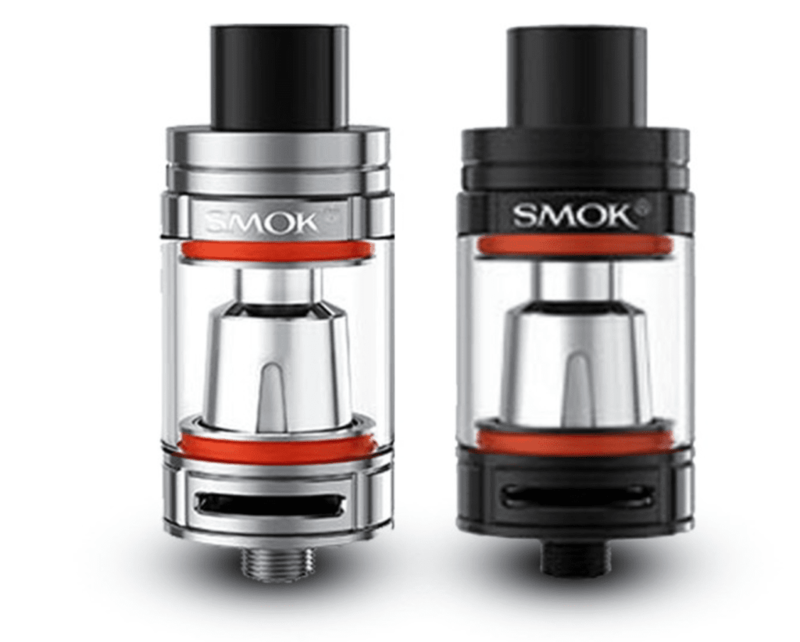 I’ve been using both quite a lot, so here are my thoughts on SMOK’s excellent sub-ohm tanks. With the look of a king it is only fitting that performance would be the same. The TFV8 Cloud Beast is one heck of a performer. Utilising a variety of insanely wicked coil combinations such as quadruple, sextuplet, octuple, and decuple engine coils you can safely assume the Cloud Beast lives up to it’s name. Being able to perform at high wattages like 150W all day and not so much as even breaking a sweat has really put a lot of RDAs on shelves. The Cloud Beast can out perform some of the top RDAs on the market such as The Recoil and the Troll v2. Giving excellent and huge cloud production is why Smok named the TFV8 the Cloud Beast. Flavour is really great which is something hard to accomplish in the realm of sub-ohm tanks, flavour and clouds unmatched. I used the TFV8 Cloud Beast on my iPV8 for this versus article and what a great combo! The below was done using a 0.15ohm quadruple coil at 125W throughout. Of course my friends couldn’t tell me the flavour from each draw but they did get to try the TFV8 and almost immediately one of my buddies left saying he was going to get one. He came back with a black TFV8 and we had to open up my windows do to the fog, and the fact that we needed to clear the air for the testing of the Smok TFV8 Baby. The little sibling of the Cloud Beast, the Baby Beast. What an amazing tank and solid performer. Having the same coils (smaller versions of course) as the Cloud Beast but able to use less power is a speciality in a way that only the Baby Beast does, and does so extremely well. The Baby Beast looks like a mini king, or let’s just say prince. The clouds are really good and the flavour is identical to the Cloud Beast. Now, can the Baby Beast beat out the RDAs, not in my opinion, but a good substitute to your RDAs. Airflow isn’t as wide open as I would like, more of the Crown v2 and Herakles Pro airflow. Not really all that bad to be honest. Able to perform at the mid to high wattage range, the Baby Beast might just be right for you if you don’t enjoy those 150W or higher vapes but want that very similar performance. The Baby Beast sat on top of the Smok G-Priv 220W for the purpose of this test and yes, a very well made combo by Smok. 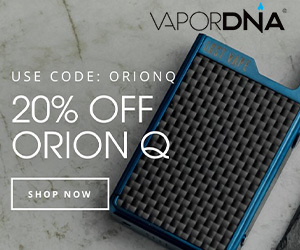 Using the 0.15ohm quadruple coil running at 90W throughout the whole test. After I jotted down the notes of the results another buddy was leaving to go get a Baby Beast. He did return about an hour later and he had the Baby Beast. My friends are funny sometimes, lol! Juice goes quicker but that’s expected, it is a high wattage tank. The above are four main areas that most people look for so with that being said, the true King of Kings is the Smok TFV8 Cloud Beast hands down. Don’t get me wrong, the Baby Beast is a great tank in it’s own right, but, the Baby just can not outdo the Cloud Beast. So, if you want that ultimate high power, mad vapor producing, flavour giving tank then the TFV8 Cloud Beast is for you. 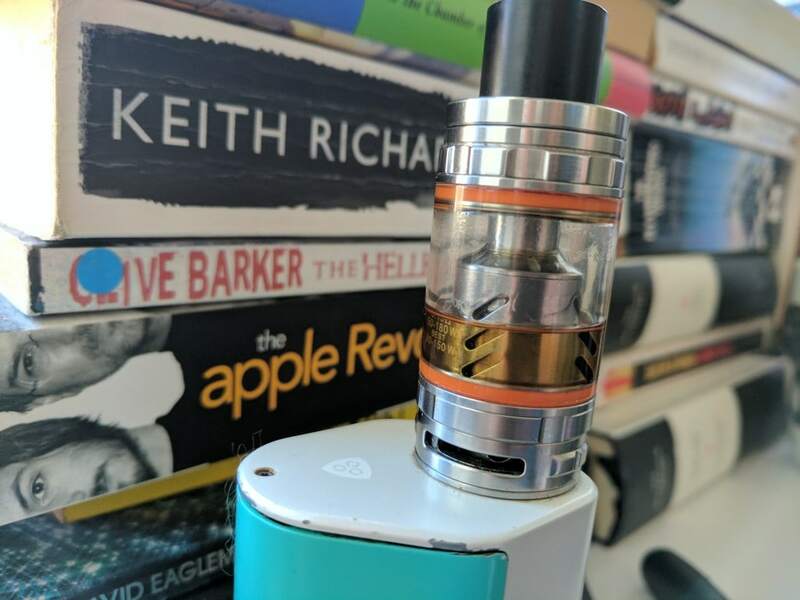 If you want those clouds that can beat the other sub-ohm tanks such as the Crown v2 and Herakles Pro, a tank that gives flavour the same way as the Cloud Beast gives, a tank that runs mid wattage to high wattage so you can save eJuice then the TFV8 Baby Beast is for you. As for me, I enjoy the best of all worlds. I enjoy the mad raw engine revving power, massive dense cloudage, and outstanding flavour of the Cloud Beast. I also enjoy the Baby Beast and the fact that I can go longer between refills and still outdo my friends sub-ohm tanks and even some of their RDAs! Whichever one that you decide to go with I can assure you this one simple fact. You will be glad that you made the purchase. But, if you want to save eJuice then get the Baby Beast. If you don’t care about your eJuice, then the Cloud Beast.